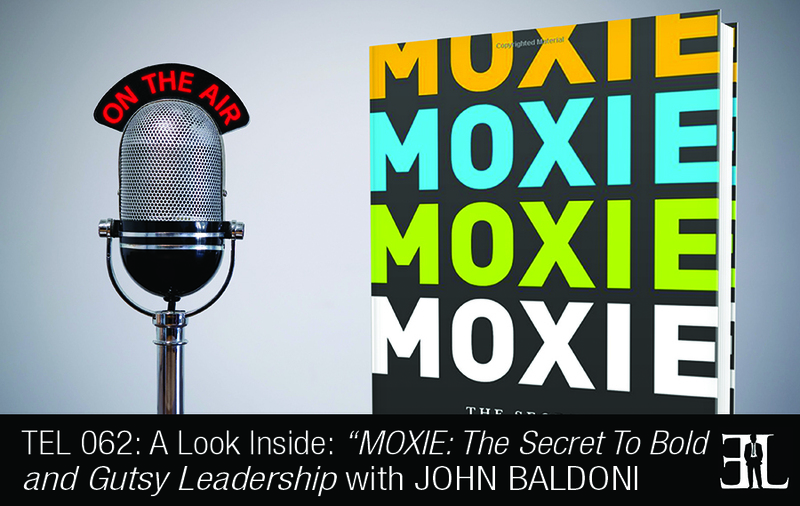 In this episode, John Baldoni takes us on a deep dive into his book MOXIE, where he reveals the secrets to bold and gutsy leadership. In his book, Baldoni shares the competence, credibility, and confidence that leaders, like Dolly Parton, Sergio Marchionne, Ben Hogan, and Nelson Mandela, use to succeed. This book is perfect for the entrepreneur who understands leadership, but needs some help preparing to lead not only his or her self but also lead a team more effectively. I’ve turned the word moxie into an acronym that contributes to the idea of moxie and leadership. Moxie stands for mindfulness, opportunity, x Factor, innovation and engagement. All of these things work together to prepare a leader to lead not only him or her but also lead their teams more effectively. I would say at least read the prolog and then jump into the chapters that fits you best. All of us have the ability to be resilient and to demonstrate determination. Don’t be swayed by obstacles in your way, look at obstacle’s as opportunity to succeed in your goals. In the prolog I talk about moxie which is the guts, gumption and determination that leaders use to succeed. Good leaders have fire, drive and are resilient. Leaders have to have streets smarts and have real world experience. There are three things that go into your sense of moxie which I call the three C’s – Competence, Credibility and Confidence. Leaders with moxie do all three. The first chapter of the book is about mindfulness. In this chapter I talk about a hero of mine who is Nelson Mandela. Nelson exemplifies mindfulness which is a sense of being in the present but for a leader it’s not just enough to live in the moment. As a leader you have to be aware of your situation. As a mindful leader you want to know how your people are reacting, what to do to engage them and what the questions are that they are facing. The second chapter is about opportunity and I begin with a story about Ben Hogan who was a famous golfer. Leaders need to be looking for what the next thing is going to be. In the book I had the opportunity to talk to Adam Grant who wrote Give and Take. Adam says that there are givers and takers and I think as a leader we must be more on the giver side of things. Leaders are those who create opportunities for others and that’s where that giving can nurture it. The third chapter covers the X factor which is rooted in character. As my icon for X factor I chose to talk about Margaret Thatcher. She exhibits what it means to be grit and gritty. I talk about how it’s important for a leader to have compassion and empathy to understand others. It’s also important for a good leader to humorous, ambitious and curious. The fourth chapter is about innovation. In this chapter my profile is on Sergio Marchionne who is the CEO of Fiat. I like to think of innovation as the application of creativity. We all have a chance to be creative but it’s what you do with those ideas that make sense. Sometimes we are intimidated of the word innovation because we think we have to hit a homerun with a new product but that’s not exactly what innovation is. Our final chapter is about engagement which is how a leader gets out of his or her skin and interacts with the people around them. This chapter was a lot of fun to write because my profile was Dolly Parton. In this chapter I talk about how leaders reach across and understand the needs of their people and deliver on them. I am an executive coach and author. My brand new book Moxie is number 13 on my list. I am chair of leadership development at N2growth. My passion is instilling leadership in others and providing them pathways to success. It came out of the financial crash of 2008 when we saw a lot of senior executives throw up their hands and say they’ve never seen things so bad before. These executives did not demonstrate any sense of resilience, perseverance or moxie. I wanted to talk about how leader’s gutsy gumption will help them and their teams succeed.